I love games almost as much as I love crafting. (If you check my Gift Guide, you'll find 25+ of my favorite games listed under the "Family Fun" heading.) Board games, card games, word games - they're all great fun. Fortunately, Trevor has inherited my love of games. In fact, Trevor loves games so much that he is the founder and president of the Games Club at his middle school. When I attended Creativation in January, I was surprised and delighted to see that Looney Labs had a booth. 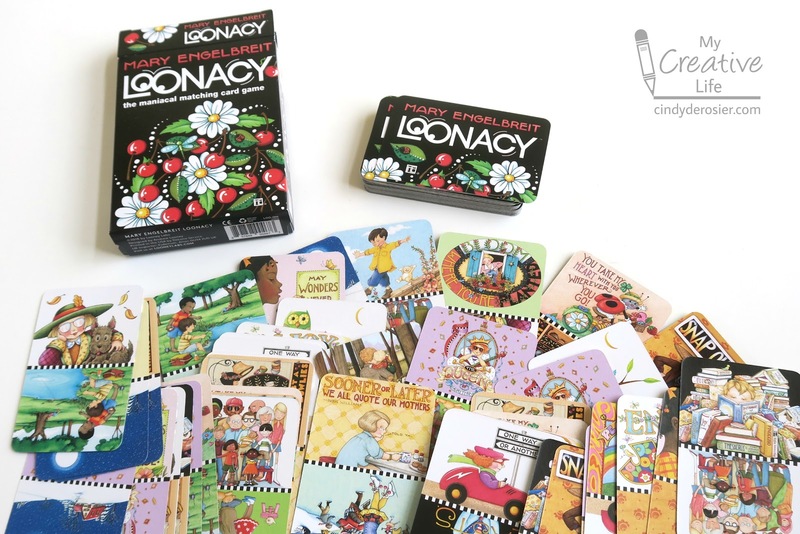 They were promoting a game called Loonacy, featuring the artwork of the iconic Mary Engelbreit. There are affiliate links throughout this post. I did a live broadcast from the booth, where Mrs. Looney herself taught me how to play Loonacy. 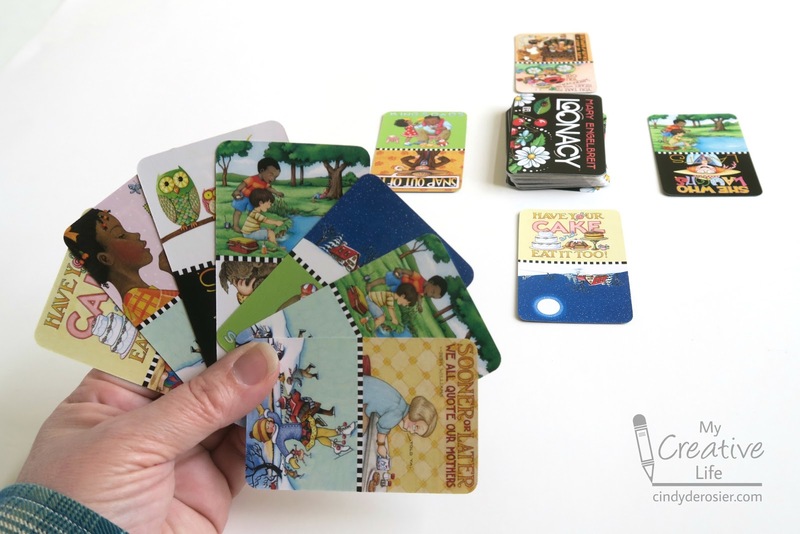 It's a fun, fast-paced game for 2 or more players. The key to this game is that there are no turns; everyone plays at once. In the image below, I set up the start of a game. (I'm holding up the seven cards so that they show well in the photo. When you're actually playing, they'd be face up in front of you.) As quickly as you can, you must match one of the images from your hand to one of the common piles on the table. The first person to play all their cards wins. There are several other Loonacy themes, including the original Loonacy, Retro Loonacy, Uglydoll Loonacy, and this not-for-kids version. While Loonacy was new to me, I already knew Looney Labs as the maker of Fluxx. Some friends introduced me to Fluxx in the late 1990's and I've loved it ever since. It's a really fun game. 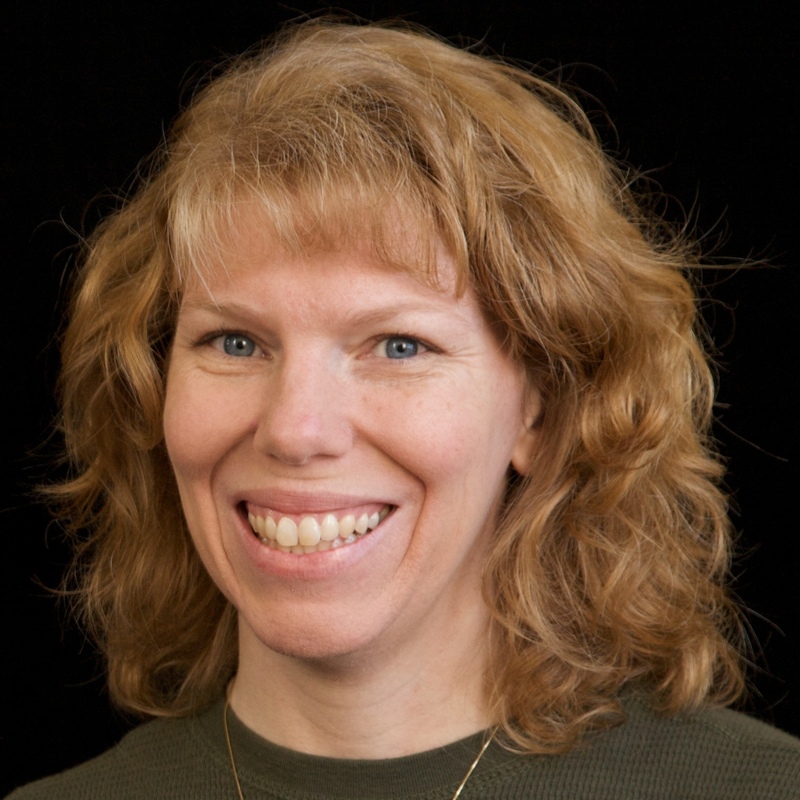 The rules of the game are ever-changing; in fact, even the object of the game changes! Basically, you are trying to collect the green keeper cards that fulfill the current pink goal card. For example, the goal below is Chocolate Milk. To win the game, you need to have both the Chocolate keeper card and the Milk keeper card. How many cards you draw and what you do with them is determined by what yellow rules cards are in place and what blue action cards you use. It sounds crazy and it is, but it's a lot of fun. It's one of the most popular games at the middle school Games Club and a staple on all Scout outings. 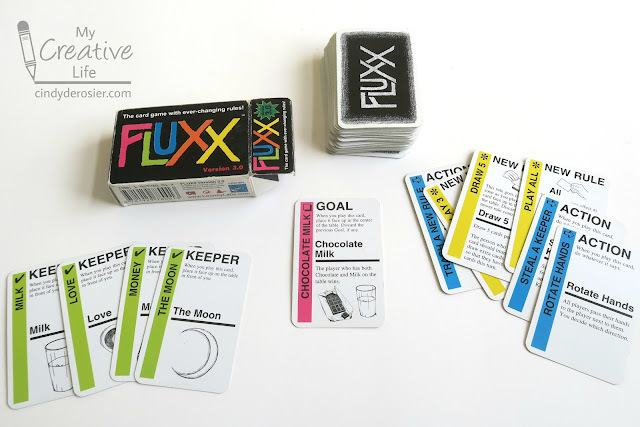 Fluxx comes in a many themed versions. 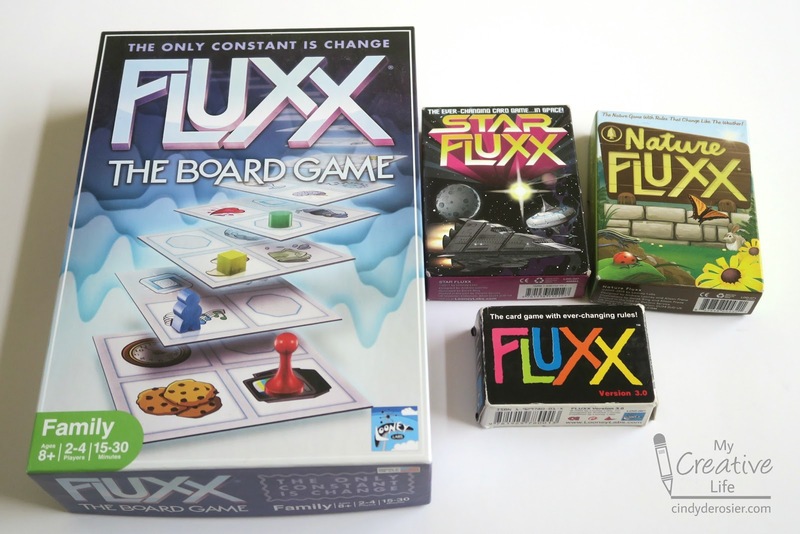 We have four, including the original Fluxx, Nature Fluxx, Star Fluxx, and Fluxx the Board Game. There are tons of other versions of Fluxx, including pop culture ones (Batman, Dr. Who, Star Trek, etc. ), school subjects (Chemistry, Anatomy, Math), and dozens more, including this for ages 21+. I am most interested in adding Holiday Fluxx to our family's collection. Have you played Fluxx? If so, do you have a favorite version? I LOVE that they used her artwork for their game!!!!!! How FUN!!! !